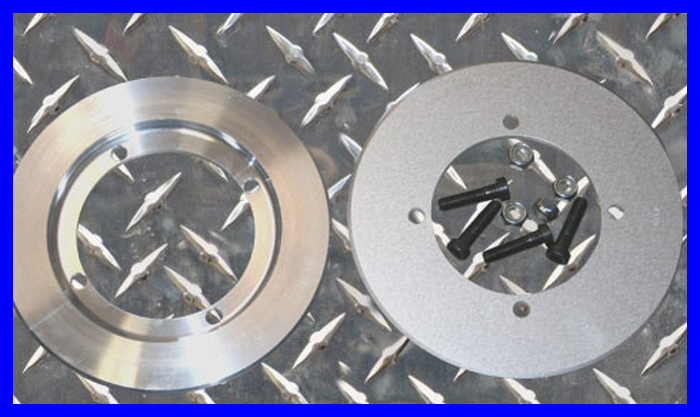 This is our most popular rotor guard - it needs to be spaced down so that the rotor wears about 1/4 inch into the guard. This guard gives great ground clearance. This guard also offers great ground clearance. You do need to pay attention when you install it and may need to add washers on the right side to space it down - due to the way the chain is adjusted on this quad. This guard is great for rocky races - it will bend up when hitting rocks hard but you can finish the race with minimal damage and then bend back down for next race. This is for the people who prefer to only run a skid but still want good ground clearance. This skid is great for rocky races - it will bend up when hitting rocks hard but you can finish the race with minimal damage and then bend back down for next race.